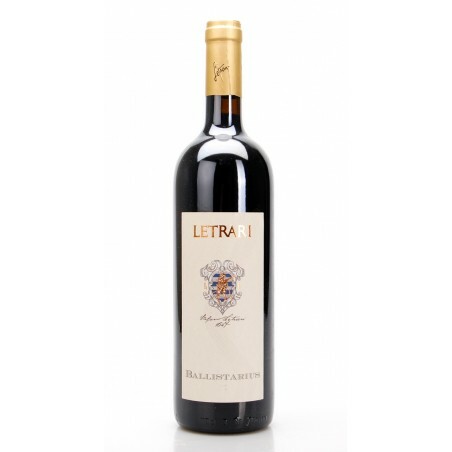 Ballistarius by Letrari was born from Cabernet Sauvignon, Cabernet Franc, Merlot and Lagrein, fermented in steel and aged for 12 months in oak barrels. It offers complex scents ranging from fruity to plant, from spicy to tobacco, all set in a backdrop of huge quality. Mouth correspondent, serious and tasty tannins, have a solid strucuture while offering an agile, fruity and long drink. 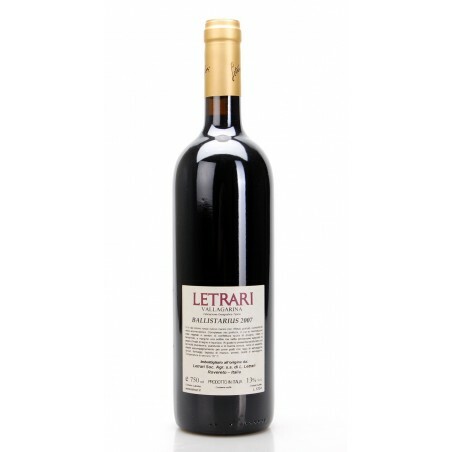 Description: Ballistarius by Letrari was born from Cabernet Sauvignon, Cabernet Franc, Merlot and Lagrein, fermented in steel and aged for 12 months in oak barrels. It offers complex scents ranging from fruity to plant, from spicy to tobacco, all set in a backdrop of huge quality. Mouth correspondent, serious and tasty tannins, have a solid strucuture while offering an agile, fruity and long drink.